What If 800,000 Americans Didn’t Have to Die This Year? What if another 62 million Americans are being deliberately poisoned and maimed to fill the pockets of foreign pharmaceutical companies? What if EPA rules have been manipulated to move strategic interests out of the United States? There are agents of a foreign enemy first maiming, then killing, Americans from the inside the US Government–killing Americans after first draining them of all their assets from unnecessary medical expenses. This BIG LIE campaign to kill Americans as documented below is propped up by an orchestrated propaganda campaign fostered by Big Pharma advertising revenues. Our government makes laws that say only “drugs” can prevent, mitigate, treat, cure, or diagnosis disease. Real drugs don’t generally do these things; they are, in fact, toxic and poisonous, which is why they require a prescription from a medical doctor. There are a few exceptions such as natural hormone replacements, e.g., hydrocortisone, insulin, some antibiotics, and few others that are usually not profitable. The profitable drugs are designed to perpetuate disease. Why? Big Pharma and Big Medicine profit from chronic illness, not cures. It’s a crime in America for a company or individual to tell the truth on a web site about a vitamin: Doing so risks FDA criminal enforcement. Case in point: The Vitamin C Foundation nonprofit had hundreds of studies about the “vitamin’s” ability to prevent, mitigate, treat, and even cure serious disease. The recent FDA letter to the Foundation forced it to eviscerate its website, take down these links to the science, or go out of business. This information has long revealed a simple, effective, and outright cure invented by one of the world’s leading scientists for America’s number one killer. If this information had been publicized twenty years ago when it should have been, almost 20 million Americans would still be living, and the 62 million Americans diagnosed with cardiovascular disease would not be squandering their money for their treatments down a Big Pharma den of thieves. Prediction: When Pharmaceutical media advertising dries up, going the way of cigarette advertising, the problem of Big Media’s participation in the Big Lie will end. Many years before writing the following PROPAGANDA DISGUISED AS NEWS article, which was published in the Townsend Letter for Doctors and Patients, I was having lunch in a Chicago office building. I started talking with a colleague who shared with me her knowledge of how the CIA manipulates the press to mold public opinion. She may have been a reporter herself. She said the CIA feeds reporters false news stories. If a reporter wants to keep the source in the CIA, the reporter submits the story for publication. For example, if the United States is planning to take military action against some country, the CIA feeds fake news accounts of atrocities in that country to build public support. This data literally blew my naive mind: I had never considered the possibility of such a thing. After waking up and seeing how the media is manipulated, we began to observe more. In the TALE OF TWO STORIES, we outlined one case in which a major study of vitamin C’s value in treating arthritis was headed off at the pass by the story of a fake study, which appeared first. The news then became Vitamin C wasn’t very useful for arthritis. When the real story appeared days later, with the opposite result, it did not receive any press. 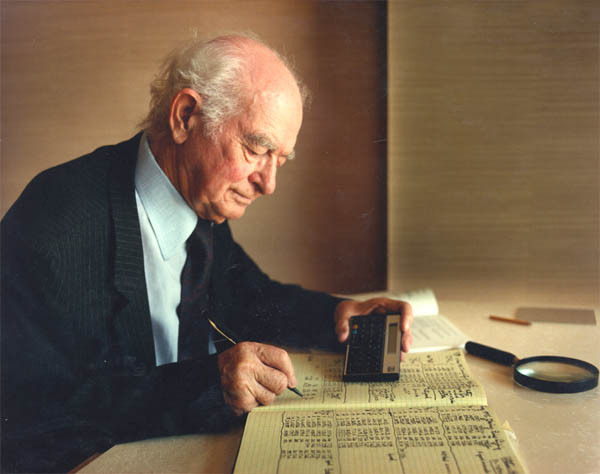 Lastly, we noticed that disparaging Linus Pauling “stories” routinely appeared just days before major dates in Pauling’s life, e.g., his birthday, or the anniversaries of his Nobel prizes. The preemptive debunking strikes were apparently aimed at any wayward enterprising reporter who might be thinking of writing a positive story about Pauling. WHO AMONG US HAS THE POWER TO ROUTINELY PLANT FAKE HEALTH-SCIENCE “NEWS” REPORTS IN THE MASS MEDIA? Heart Disease is the number one killer in the United States; not because science has failed, but because of a deliberate campaign to misinform and mislead the public. Fake health-science “news” reports are now appearing so often in the Press that ordinary people are beginning to take notice. Planted stories resembling a professional CIA- or KGB-style propaganda campaign are responsible for the death of at least 1,000 Americans every day. The campaign has been in operation since 1984, and its roots may date back to 1970 . The First Amendment to the United States Constitution protects these perpetrators. Save defamation and libel, the American Press can print misinformation. Propaganda masquerading as health-science news is not hard to spot, especially for those with knowledge of the science behind the success of alternative medicine. The drumbeat that ‘cholesterol is bad, causes heart disease, and every effort should be made to lower it’ has droned on for more than a decade. This BIG LIE is reinforced daily even though the leaders of the American Medical Association cautioned that our fears are misplaced and there is not sufficient evidence to fear elevated cholesterol . We are conditioned to fear fats, favor carbohydrates, and lately fear “antioxidants.” Most insidious of all, we are being conditioned to fear the most important life giving substance known: ascorbic acid, or vitamin C! Propaganda artists understand that the bigger, more widely distributed and more bold-faced the lie, the more people will believe it. Few substances in the world are safer than vitamin C, but this well established fact has not stopped recent worldwide health-science “news” scare stories, which imply that vitamin C may cause heart disease and cancer! Not a single one of these reports has been substantiated . However, the truth does not appear to matter. “Vitamin C consumption is down 19% year-over-year,” according to Nutrition researcher and journalist Bill Sardi. The “terror” campaign works. The public are now frightened about taking vitamin C! The Media can and does not act alone. The “propaganda as news” campaign could not succeed without the tacit support of medical professionals and scientists who know better, and who profit from the ill health of Americans. There is circumstantial evidence of a conspiracy. Medicine and pharmaceutical companies profit from illness. Doctors generally look the other way, or else routinely cite these articles to questioning patients. Social security programs are facing bankruptcy from servicing the elderly. Recently, funeral homes in Israel complained after doctors went on strike and the death rate dropped dramatically . The real science is clear: These propaganda stories, to the extent they reduce vitamin C and other anti-oxidant consumption, will increase the incidence of heart and other chronic diseases; creating an economic advantage for medicine. Not all who die are old. Many heart attack and stroke victims are in their 30s and 40s. According to the American Heart Association, in spite of the decline in heart disease mortality since the 1970s (741,000 in 1970 to less than 500,000 in the year 2000), more than 1,000 people die every day in the USA of some form of heart disease . When you profit from sickness, your marketing department will sooner or later figure out how to make people sick. Those who market hospitals or cardiac drugs may view the steep decline in heart disease mortality rate since 1970  as a revenue and profit disaster. The revenue hemorrhage for heart surgeons, cardiologists, hospitals and pharmaceutical companies (especially those who make high-profit cholesterol lowering prescription drugs) is staggering. From 250,000 to 650,000 more people would have been expected to perish last year. The (lost) profits had the expected heart disease mortality rate continued to rise after 1970 per the 60-year trend, is in the billions! Think of the great marketing problem if a cure had been invented that does not require either a prescription drug or a doctor! Fortunately, the cause and cure for heart disease is simple. 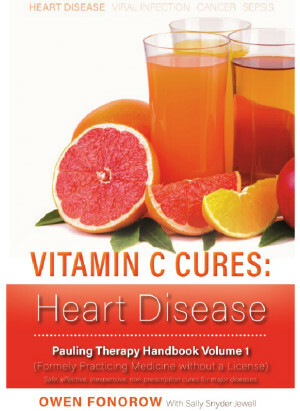 The true nature of heart disease, a simple vitamin C deficiency, was recognized in the late 1940s and early 1950s . Linus Pauling claims to have written his first book on vitamin C to counter misinformation in the media in the late 1960s . Pauling invented his putative cure for heart disease in 1993 . The BIG LIE campaign to discredit Pauling, and reduce the daily consumption of vitamin C, will inevitably lead to higher rates of heart disease and mortality. The only reason that the public is not aware of this is because individuals in positions of trust, hiding behind the First Amendment freedoms afforded to our press, promulgate false information. The Press, whom we rely on to ferret out corruption, has become the greatest malfeasant of all. While we cannot pinpoint specific individuals behind the genocide, recent events provide clues to the morals and ethics of the CEOs of large combined pharmaceutical and vitamin companies. This year, the US Justice Department and the Governments of many Western Nations levied multi-billion dollar fines against those companies that illegally entered into the so-called “Vitamin Cartel” and admitted fixing vitamin prices. The pharmaceutical multinational corporations Hoffmann-La Roche, BASF, Rhône-Poulenc and other multinational pharmaceutical companies have now admitted to criminal price fixing for vitamin raw materials. These international companies have divisions that manufacture synthetic vitamins as well as pharmaceuticals. The US-justice department declared that this Vitamin-Cartel was the largest cartel ever discovered and named it an economic “conspiracy.“ Roche, BASF and the others cartel members agreed to pay almost a billion dollars in fines for committing these crimes. One of the smaller companies provided “states evidence” about the price fixing in return for leniency . Hoffmann-La Roche is the largest producer of vitamin C in the world. According to Dr. Rath, he originally approached the presidents of these companies to encourage them to increase vitamin C production and to help him inform the public of this new use of vitamin C. Rath was shocked to discover that they did the opposite of what he intended. In order to preserve the higher profit margins of other divisions, e.g. the cholesterol lowering drug divisions, the heads of these major companies conspired to raise the prices of vitamins. According to Rath, this price fixing was to discourage the use of vitamins in favor of cholesterol lowering medications, and to increase profits should the truth about heart disease become widely known . Now that this conspiracy is out in the open, we have insight into the thinking, morals and ethics of the leadership of the largest pharmaceutical/vitamin companies in the world. Fortunately for humanity, but unfortunately for these huge companies, the cure for heart disease is cheap and plentiful. As this becomes generally well known via the Internet, it may be of benefit to unload pharmaceutical stocks or mutual funds. It is also worth noting that the CIA was strongly influenced at its inception by intelligence experts recruited from NAZI Germany . Much has been written about how the CIA and other intelligence communities routinely use media campaigns to shape public opinion against foreign governments, or to protect clandestine operations. This propaganda is disguised as news. We know that the intelligence communities have media contacts. The media has been conditioned, most likely flattered by the attention and “inside” sources, and has not resisted. We would not be surprised to learn that former intelligence operatives, after leaving the CIA, have found lucrative work at pharmaceutical companies. The campaign from a technical standpoint has been outstanding, however these are not well-intentioned people. Perhaps some day one will come forward and blow the whistle? The Media cannot escape responsibility. Whether Media moguls are orchestrating the grand deception, or are unwitting accomplices being manipulated, or are relying on expert sources and opinions, the end result is the same; a massive loss of life and untold suffering. A school child could check the accuracy of many of these planted health-science stories. A cub reporter could balance these negative reports with hundreds to the contrary. No, reporters cannot simply hide behind their laziness or ignorance. According to author and former journalist Arline Brecher, tremendous advertising revenues can and do influence Editors to look the other way . Bribery cannot be ruled out. The great problem facing humanity is how to stop or counter this long running BIG LIE campaign. This is not a simple undertaking. The coffers of huge companies that profit from human suffering and death is enormous, thanks in large part to the campaign itself which effectively promotes and protects their products. As long as the media is unable or not willing to tell the truth, millions of their fellow citizens will continue to suffer and die prematurely. Mediacide has cost the USA trillions of dollars in unnecessary health care expenditures. Recently, the campaign has become bolder. Perhaps those behind the campaign have gained confidence that these lies will go unchallenged; or they have become stupid. As the planted stories become more shrill, appear too often and are harder to believe, we can hope the public will finally wake up and become the force that vanquishes these fake-news campaigns from the face of the Earth. Recently, two diametrically opposed media stories about vitamin C and arthritis appeared. The first stated that vitamin C causes arthritis. The second was published days later, stating that vitamin C prevents arthritis. The widely reported story implied that large doses of vitamin C might cause osteoarthritis. This particular study, which many believe was blown out of proportion, was easily dismissed from the animal study author’s own comments. She pointed out that the pigs fed more vitamin C grew significantly more than the pigs getting little of the vitamin, and she mentioned that this fact probably accounts for her findings of larger knee knobs. The second story then appeared. Human, not animal, research published in the Annals of the Rheumatic Diseases showed that a high vitamin C intake protects against the development of painful rheumatoid arthritis. The researchers found that people with inflammatory polyarthritis (Reuhmatoid) tended to have a lower daily intake of fruit and vegetables than those who did not develop the disease. Vitamin C itself seemed to have an even more important role. The results showed that those with the lowest levels of vitamin C intake were three times more likely to develop inflammatory arthritis than those with the highest intake. Those with levels below the RDA (40 mg in UK) were at four times the risk of inflammatory polyarthritis. Those at less than 56mg a day were still at three times the risk. The timing and distribution of these two opposing arthritis stories is suspicious. These coincidental stories provide another clue to the techniques and motivations of the people actively working behind the scenes to damage the health of the public. The negative story, posing as news, is one of a series of fake anti-supplement news stories that are published at regular intervals. These deliberate distortions somehow gain wide access to the worldwide media and negatively affect the public’s thinking about vitamins. This eventually leads to poor health for millions of people. People tend to believe what they read and hear in the news. Could there really be a propaganda campaign that alters the news and attempts to harm the public health? Are there propaganda artists whose job descriptions read fool the public? Do people live and work among us, with access to the media, who are paid to deliberately cause confusion, obfuscate scientific findings, and lie to the lay public about matters of public health? Consider how this might be accomplished. These propagandists monitor medical journals before they are published, or perhaps they are briefed on harmful-to-their business articles that are about to appear in print. These people are willing to risk everyone’s health, in order to blunt the impact that a significant scientific report might have on their business, presumably pharmaceutical. If such a propaganda campaign exists, which works to preserve markets for expensive pharmaceutical products, then the ensuing suffering makes the Nazi holocaust dwindle by comparison. These words came to mind on Monday, September 2, 1996, while watching a medical report crafted by the CBS news affiliate in Chicago. WBBM television reported that there is a substance commonly found in junk food that explains the 40% drop in heart disease mortality in the United States over the past 20 years. For years it was my belief that news organizations may have bias, but that they mostly held to the ideals of a free press. My naiveté dissipated rapidly upon discovering two years ago that one of the world’s greatest scientists had made a significant health claim, which was not reported by the media. It was particularly troubling to see so-called PREVENTION Magazine’s treatment of this matter. Coincidentally, I began to notice a series of medical stories carried by the national news media. To the uninformed reader, these stories appear factual and objective. However, each story provided subtly misleading information, always favorable to current medical dogma. Amazingly, these stories were published everywhere simultaneously. What power, I wondered, could get these questionable stories published universally and so regularly while efforts to publicize a milestone discovery had failed? My epiphany was the realization that these medical stories, without author and usually published under the banner of the Associated Press, were not the work of amateurs. Carefully crafted, each sentence in a given story by itself was (mostly) factual. Together, as the examples later show, these sentences paint a slanted picture; either confusing or otherwise biased against alternative medicine. Have alternative medicine and its tools, e.g. vitamins, been the target of a BIG LIE smear campaign? Author and AMA infiltrator James P. Lisa thinks so. He reported on this campaign in his recent book entitled The Assault on Medical Freedom. Upon representing himself as a freelance writer working on a book about “quackery,” Lisa was permitted to see confidential AMA files. On page 56 of Lisa’s book, the author presents evidence that pharmaceutical interests have been targeting alternative medicine since the year 1985. “In a letter dated February 7, 1985, Mr [deleted] sent Mr [deleted] information about the “Roper poll on quackery.” This was a survey of the general public that the PAC/FDA campaign had commissioned in October 1984, in order to identify targets for the campaign. An inspection of the survey is revealing. Judging from the survey questions asked, it appears that those surveyed would get the impression that they were being asked these questions to solicit how effective these treatments were. However, the survey results apparently were used to identify what the public considered most effective in order to determine top-ranking priorities for the “anti-quackery” campaign. Regardless of the intentions of various groups with vested economic interests, such a propaganda campaign could not be effective without the major news organizations in the United States, particularly the Associated Press. Whether the AP disseminated these stories due to gullibility or bribery is immaterial. The fact is that the vast majority of Americans, unaware of the economic implications, accept these stories at face value. It soon became obvious that important studies were being routinely deflected by these AP stories, and deflected by the assumption that the news media reporting the story was knowledgeable and objective. These authors can appear impartial and objective. And, by what power do they gain such easy access to the public mind? It is my hope that readers who are cognizant that such a manipulation exists, and knowing how it works and what its objectives are, will be better able to blunt its affect on the hearts and minds of the American public. A top marketing dictum is: “Advertising is everything.” Poorly conceived advertising may not work well, but advertising is fundamental when marketing to a mass audience. However, advertising is costly, and the audience realizes the advertiser’s intentions. Any seller that can generate “news” articles advantageous to its image, products, or services has an unfair marketing advantage. First, such an approach is not likely to cost much; but more importantly, the people receiving the message perceive it as factual news and are more likely to accept and believe the message. How does one go about getting their advertising message presented in the guise of respected news articles? The most obvious way is to issue a press release. In the case of the pharmaceutical propaganda campaign, these strategically timed and carefully constructed articles occur too frequently to be coincidental. Can public opinion really be influenced by a steady drone of “news” articles designed to create an image of “scientific” allopathic medicine or of “miracle” pharmaceuticals? What if there was a steady stream of “news” articles about the number of people that die every year from side effects to common pharmaceuticals, especially if compared to the side effects of vitamins and herbs? Consider the effect of a steady stream of “news” articles in the major media that most allopathic cancer treatments themselves are carcinogenic, or that overuse of common antibiotics is creating a crisis that allopathic medicine may not be able to conquer, but that oxygen therapies will. Furthermore, consider the effect of a steady stream of news articles favorable to practitioners of alternative medicine; how many people are using them, how their therapies are more effective and cheaper, etc. One can imagine the new image that alternative medicine would have. Much depends on the credibility of the messenger, its reputation and the reputation of those providing the “advertising” messages. People must generally perceive propaganda as objective news. The primary intent of this article is to whittle away at that perception. The following examples were clipped from local Chicago newspapers. The full text of each article can be found at http://www.internetwks.com/pauling/lie/index.html. On August 29, 1995 the news hit that the essential mineral magnesium, previously thought to be non-toxic and now widely recognized as first line therapy against heart attack, was implicated in 14 deaths since 1968! This mass murder was exposed by researchers of the Food and Drug Administration and reported in a publication of the American Medical Association. This would have been news, if magnesium were really toxic. How and why did this story make all the network and local television newscasts and newspapers on August 29-30, 1995? For the uniformed reader, it is instructive to consider magnesium in the historical perspective. As far back as 1972, the late Dr. Roger J. Williams reported in his book Nutrition Against Disease that a 1957 study showed magnesium to be beneficial to the heart. “The possibility that magnesium deficiency may also be implicated in coronary heart disease arose when it was reported that injections of magnesium sulfate brought about “dramatic clinical improvement” in patients who had suffered from angina pectoris and coronary thrombosis, and that the lipoprotein levels were brought to normal in many cases”[Bersohn & Oelofse, Lancet: 1:1020, 1957]. These findings have been confirmed and reconfirmed in many clinics and laboratories. In an analysis of seven clinical studies, for example, Teo and colleagues concluded that magnesium (in doses of 5-10 grams by intravenous injection) reduced the odds of death by an astounding 55%. In summary, magnesium is inexpensive, safe and effective. Now, some 38 years after the Lancet report, it is widely recognized as a crucial lifesaver, if and when used in the fight against heart attacks. All unbiased studies have shown it to be non-toxic, even in very large (gm) amounts. Why “smear” magnesium? Even more interesting, why would the mass media be so willing to print the smear? Magnesium is not only a direct competitor for a wide array of expensive cardiac medications, and it seems to work better. However, its effectiveness directly challenges allopathic medicine’s assertions that “simple nutrients” are ineffective in and of themselves therapeutically. It is bad enough that a story like “the magnesium scare” could make ABC, CBS, NBC, CNN, and the papers in the United States based on a single questionable study; one among hundreds that are published each month, but why pick up a story that even the authors admit contains a number of incidents affecting less than 2 people per year? Experts we spoke with offered their opinion that the large amount of aluminum consumed was much more likely to be the root cause of the reported problems. A balanced report would have mentioned the great therapeutic value that is now attributed to magnesium. A “major” story that a new study identified vitamin A as dangerous and can cause fetal defects was given quite a bit of airtime on all the local networks October 7, 1995. The study from Boston University was deemed to be so “important to public health” that results were released two months prior to publication! In other words, the study was released two months before other scientists could critically analyze it. The reader should be aware that the possibility of “fetal defects” has already been listed in orthodox nutrition textbooks as a “side affect of vitamin A.” That makes for an interesting conundrum. If this is “old news,” why was it a “major story?” If this is one of the first such study in humans, how did the nutrition textbook writers know? Are they clairvoyant? The absurdity is revealed by the numbers: Boston University’s idea of a statistically significant public health risk is an “estimated 5 or 6 per 23,000.” Yet, this “major” story appeared on all local networks. On July 1, 1996 the following story was reported nationwide. According to the Munzel study published in the Journal Circulation of the American Heart Association, Vitamin C injections were shown to “almost totally reverse” endothelial dysfunction in chronic smokers. The intent of this story was to “blunt” a vitamin C bombshell. As far as we can tell, this claim is false. There was no eight-year study at Harvard that gave smokers vitamin C pills. Undoubtedly, the study referred to was the 1992 study “Vitamin E and Coronary Heart Disease in Men” published in the New England Journal of Medicine. However, that study of health professionals limited its analysis to 667 males suffering cardiovascular disease (CVD) out of 39,910 males given follow-up questionnaires. Only those participants who had originally been free, and then either died of coronary artery disease or suffered a coronary episode, were considered. As an aside, since the antioxidant intake of 39,243 individuals who participated in the study (or 98.3%) that did not develop coronary disease were specifically excluded from the analysis, the Harvard Vitamin E study should not have been used to counter the Munzel study. Rimm could not have noticed a “completely protective affect of vitamin C” and no pills were dispersed during the study. This AP article reported on the Lp(a) study by Bostom, et. al. in the August 21, 1996 Journal of the American Medical Association. It was a follow-up to earlier Framingham studies where Lp(a) measurements were questioned. The study confirmed the earlier work that lipoprotein(a) is an independent risk factor in cardiovascular disease. The AP title implied that Lp(a) is a “new” discovery. I sensed that the medical profession was about to credit itself for discovering Lp(a). However, the research on lipoprotein(a) was developed enough in 1991-1992 that Dr. Matthias Rath of the Linus Pauling Institute had conducted studies, and Pauling had lectured for years on this danger. The date of the discovery that Lp(a) is a “major” player in heart disease most likely occurred in 1989. The Wall Street Journal first reported on lipoprotein(a) in 1988. The more damaging part of the AP’s lipoprotein(a) article were assertions that “Lp(a) is hard to measure accurately” and even when measured, “there are no known ways to reduce its level in the body.” Both these assertions are most likely false. Lp(a) can be measured sufficiently to establish risk. Vitamin B3 and Vitamin C have been shown to lower Lp(a) blood levels. Both of these studies were not mentioned. Another “bombshell” not mentioned is that the binding of Lp(a) to the walls of damaged blood vessels can be inhibited. Pauling and Rath received the patent for this in 1994. These binding inhibitors, especially the amino acid l-lysine, offer a safer and possibly more effective alternative to angioplasty, coronary bypass, and even Chelation. On August 29, 1996, the following AP article “Study: Virus may negate benefits of angioplasty” appeared. In this case, the Associated Press was willing to print “rank speculation” as news because it appeared in a medical journal. To many, it was infuriating that the Associated Press would allow itself to be used again as a tool by organized medical interests. We were now to learn that angioplasty fails so often because of a virus that everybody has in their body? Incredible! I believe that part of the reason a “possible viral role in heart disease” was chosen for this particular piece/study is the important news that vitamin E prevents the Coxsackie virus from mutating. According to other articles this month, vitamin E prevents the virus from causing myocarditis, or inflammation of the heart. This unsigned AP article is designed to create confusion on this vitamin E issue. The AP article does contain some interesting information. For example, it correctly points out that approximately 1/3 of 400,000 angioplasty operations have failed. Chelation doctors have been pointing to this phenomenon for years and explaining the double standard; neither angioplasty nor coronary bypass were ever studied clinically before coming into widespread use, yet the safer Chelation therapy is “criticized” because conventional medicine claims that Chelation lacks appropriate studies. Delay the recognition of the real reason heart disease is so prevalent, chronic vitamin C deficiency. This allows up to 100 billion dollars a year to flow into medical and pharmaceutical coffers in unnecessary expenditures. By publicizing these ‘red herring’ articles in the guise of news, the AP has helped certain unscrupulous members of the medical community impede the march of science. Provide an excuse for the recognized long-term failure of angioplasty. The pattern is clear. Mix fact with fiction to protect the status quo, or at least not harm the reputation of pharmaceuticals. When studies damaging to these vested interests are published, a decision is made whether the “news” is likely to get much press on its own. As most readers already know, much legitimate science is collectively ignored by the mass media. On the other hand, if some issue considered threatening to the status quo appears, a seemingly favorable “propaganda” article is crafted and disseminated, such as the VITAMIN C INJECTIONS or the NEW FORM OF CHOLESTEROL (LP(a)). These propaganda articles are accurate, but deflect the importance of the study by subtly distorting the results. Finally, if all else fails, the disinformation technique is applied. We see propaganda designed to discredit legitimate science, e.g. the “junk food reduces heart disease mortality.” It works because the average person cannot make sense of a stream of confusing articles. The public accepts these AP stories as objective and factual, even though they are neither. Interested readers can view the actual AP articles cited here and clipped from the newspaper, along with several others, at http://www.internetwks.com/pauling/lie/index.html. It seems to me that the M.D. or D. O. initials after one’s name can be a powerful weapon against the campaign; a campaign that exists and works only as long as people don’t generally realize that it exists. I encourage everyone to write to your newspapers, with a copy to the Associated Press, every time one of these questionable articles appears. WHAT PROMPTED THE FEDS TO ATTACK VITAMIN C? Fact: FDA-approved drugs are a leading cause of death and disability. Fact: No vitamin has caused a death in the United States. According to the CDC, there have been no deaths from a dietary supplement since 1997. Current law allows the FDA to treat Vitamin C as a drug if a company tells the truth and claims vitamin C can “cure, mitigate, treat, and prevent” disease. As you will continue to learn in our series on Vitamin C, this substance is arguably better at successfully performing this mission than any drug on the market, without out any known toxicity. The latest attack on Vitamin C is not the first time the FDA has attacked essential vitamin C by trying to create the impression that using it was illegal. In 2009, the FDA attacked Proctor & Gamble for adding vitamin C to Vicks Children’s cold medicine. FDA: Procter & Gamble Unlawfully Marketing Two Vicks Cold and Flu Medicines Containing Vitamin C .
The nonprofit Vitamin C Foundation filed a Freedom of Information Act (FOIA ) request and wrote to Proctor & Gamble. Thanks for contacting Vicks NyQuil, . We appreciate the time you took to share this article with us, and I’ve shared it with the appropriate individuals on our team. For more than 30 years, NyQuil has provided safe and effective medicines to reduce the symptoms of cold and flu. Research has shown that levels of Vitamin C are depleted during times of illness. Vicks NyQuil Plus Vitamin C contains the combination of active ingredients to relieve cold and flu symptoms, and Vitamin C to replenish the body. A Class Action Suit was filed over this. Proctor & Gamble’s lawyers prevailed in court. The FDA’s FOIA response to the Vitamin C Foundation arrived five years later. In December 2010, the FDA went after McGuff Pharmaceuticals, and McGuff’s vitamin C for injection was taken off the market. This FDA action created a scare that intravenous Vitamin C for injection was an “unapproved drug,” and ongoing trials of vitamin C and cancer were holted in the United States. It was no coincidence that the McGuff brand was shown on a New Zealand television segment (60 Minutes) earlier that year. The 60 Minutes segment ended with a picture of the vial of McGuff’s vitamin C for injection that miraculously saved the life of New Zealand rancher Allan Smith. Smith’s miracle recovery, in the face of his doctor’s resistance to even try Vitamin C as a “useless vitamin,” will be examined in greater detail in our vitamin C series. The message the FDA sent was clear: If you publicize the fact that Vitamin C can be used to treat and cure a major disease, we will go after you. The history of the feds attacking vitamin C shows that the Feds have little or nothing to do with the public interest or public health. The FDA response to the Vitamin C Foundation’s Freedom of Information (FOIA) Requests revealed no complaints by the public. It bears repeating: The former editor of the New England Journal of Medicine Marcia Angell revealed key in her. book The Truth About the Drug Companies: How They Deceive Us and What to Do About It. The profits of the 10 largest pharmaceutical companies in the Fortune 500 exceed the profits of the other 490 largest companies combined! HAS THE U.S. GOVERNMENT BEEN INFILTRATED BY FOREIGN INFLUENCES? The surprising answer is yes, according to an Apparition of the Virgin Mary. Christians don’t usually hear much about the great apparitions of the Holy Mother in church because the messages given during these supernatural appearance were often critical of church leadership. Author Ingo Swann, famous for his role in the CIA’s Remote Viewing Program, studied first-hand reports. In 1996, Swann published the. fascinating book The Great Apparitions of Mary: An Examination of Twenty-Two Supranormal Appearances. Swann ends the book by asserting that, for all legitimate confirmed cases (where it was later found that the individuals passing the apparition’s message bodies never decomposed), the apparition’s statements and future predictions all came true. She warned America that the United States Government, Media, and even the Churches were being infiltrated by communists. For two decades, I have publicly shared my experiences and advice over the VitaminCFoundation.ORG web site. The FDA has so damaged this country such that exercising my constitutional right to free speech puts me in potential legal jeopardy. The Linus Pauling heart disease story could change the face of America, eliminate the maiming and killing being orchestrated by the FDA, and reduce the cost of healthcare overnight. Owen graduated from the United States Air Force Academy in 1976. In 1996, after his career as a member of the technical staff with AT&T Bell Laboratories, Owen founded the nonprofit Vitamin C Foundation along with his brother Michael S. Till, Sr. Owen has since written more than thirty articles, and these papers have been published in assorted alternative medical journals including the Townsend Letter for Doctors and Patients, Nexus New Times, Life Extension Foundation magazine, American Naturopathic Medical Association Monitor, Florida ECO Report, International Council for Health Freedom Newsletter and Media By-Pass. Many of the themes in these articles have been incorporated in his book, Vitamin C Cures (Formerly Practicing Medicine Without A License? The Story of the Linus Pauling Therapy for Heart Disease). Great Information if the FDA would stop having the Holistic Doctors Killed in the U.S.A. So very sad that we live in a country that all they want to do is poison the people thru statin Drugs from your M.D.